Cool off this summer with delicious cocktail and drink recipe ideas. 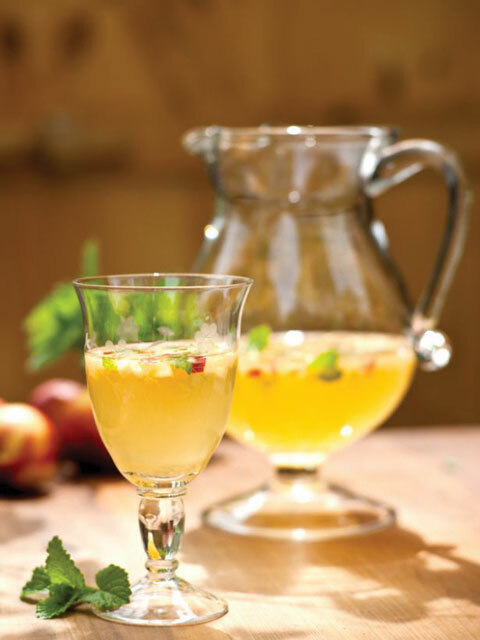 Serve these tasty cocktails parties and cookouts all summer long. refrigerate until chilled, at least 2 hours. Serve. Prepare a vegetable juicer (or blender if unavailable). 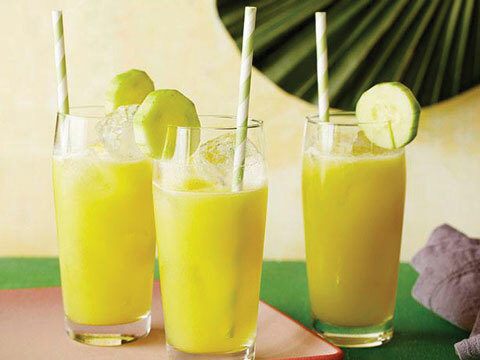 Run the pineapple, limes and cucumber through the juicer, letting all the juices combine. Pour the tequila into a cocktail shaker or pitcher, and then add the juices, ice, agave and salt. Shake or stir vigorously until chilled. Line up 4 tall Tom Collins glasses filled with ice, and pour the tequila cooler over. Serve with straws and cucumber slices for garnish. With the back of a heavy chef’s knife, bruise the lemongrass stalk to expose the inside fibers and cut it into 1-inch lengths. Combine the lemongrass pieces, ginger, sugar and 1/2 cup water in a small saucepan. Bring to a simmer and cook a few minutes until the sugar dissolves. Remove from the heat and steep for 20 minutes. Strain the syrup into a bowl, discarding the solids. Place the bowl over a larger bowl filled with ice and whisk the syrup until it cools. Combine the pineapple juice, coconut milk, rum and all of the cooled syrup in a blender and blend; it will make a nice frothy layer on top. 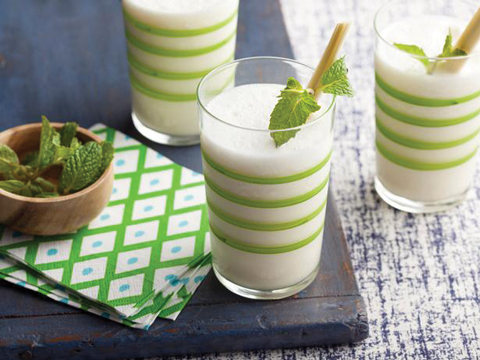 Pour into 4 tumblers with or without ice and garnish with the mint or lemongrass.